While I was writing the article on Killifish, I realised that Apistogramma species have got the same problems that killifish have, namely that although they are stunningly beautiful species, people tend to shy away from them with no clear reason. 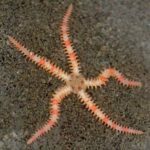 Can it be because they are identified by their scientific name followed by a variety, because they are not regularly available, or perhaps because they are perceived as a difficult species to keep? Well, I do not know and honestly, I do not care. I know there are species that are easy and others that are for advanced hobbyists. Therefore I decided to give you some food for thought regarding the easier species. 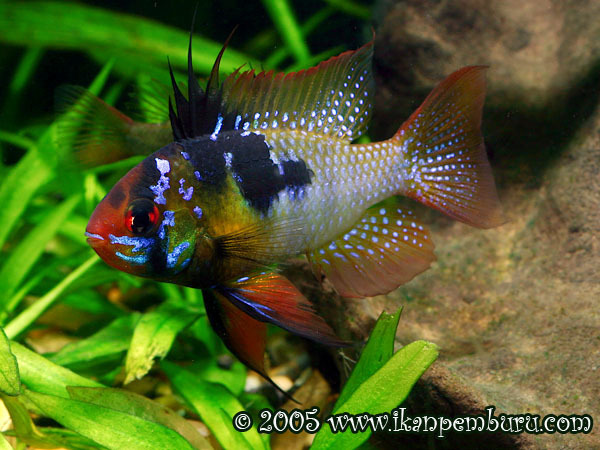 Have you seen the variety of Rams Papiliochromis ramirezi (Mikrogeophagus ramirezi) that are available on the market currently? 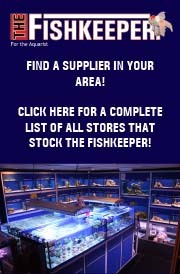 Have you kept one or more of them in your aquarium? Do you believe they are easy to keep? 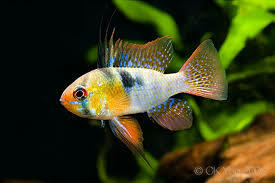 Apistos are more beautiful, as easy to keep, and much more diverse than rams can dream to be. So keeping them is no problem at all. 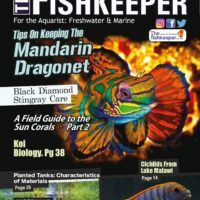 What makes a fish an Apistogramma sp.? All Apistos are dwarf cichlids from South America, found in nearly every type of habitat over a vast area.They are a very beautiful small tropical aquarium fish with over 250 species, and variations in species. Males of this genus are all more colourful than females; with some species this difference in colouration is astoundingly large. Males generally also have long fin extensions with elaborate patterns on their fins. These magnificent colours of males make them really prized specimens in most aquariums. They are egg layers that will protect their eggs and fry against fish that are even 3 times bigger than themselves. Apistos come from the Amazon and other South American streams that are very soft with a low pH, but the Apistos we receive in South Africa currently do not need special water if you just want to keep them. Our tap water in Pretoria is good enough to keep them healthy and happy when not breeding. But please do not think I am talking of poor water quality here. Poor water quality due to a lack of maintenance, inappropriate water changes, or a filtration system that is inadequate, are not acceptable and can lead to unhappy Apistos. 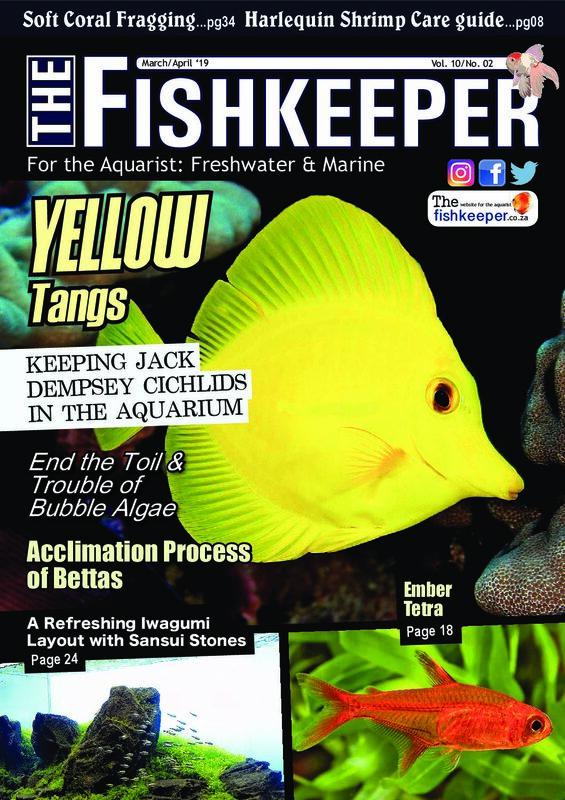 Apistos’ behaviour in a community aquarium is very docile for a cichlid and if not breeding, they will practically ignore other genus in your aquarium. You do not need a species aquarium or a special setup to keep Apistos. You do need to decide on appropriate tank mates though. I was shocked a few days ago when a client told me Apistos are difficult as he was unable to keep them alive for more than a day in his mixed cichlid aquarium. Apistos are DWARF cichlids so they do not grow large, they are less aggressive than normal cichlids and, more importantly, they prefer an aquarium with species that are low in aggression and where there are loads of places to hide, so a planted aquarium is appreciated a lot! Apistos love to hide. This is due to the fact that in nature Apistos are low on the food chain because of their size, so they need to feel secure and safe. 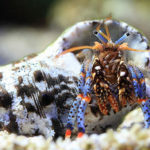 My suggestion, borne out by past experience, is that by giving them multiple caves and tunnels in a well planted aquarium will make them feel very secure and therefore they will be visible more often and for longer than in an aquarium with less security. I also found that their colours are much more intense in a well planted aquarium with loads of hiding places. This might be because they feel very secure and safe in this environment. Apistos come from the Amazon and other South American streams that are very soft with a low pH, but the Apistos we receive in South Africa currently do not need special water if you just want to keep them. 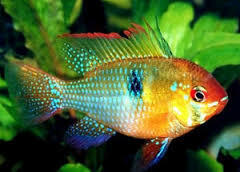 Giving a comprehensive list of species that mix well with Apistos here is inappropriate due to space. Therefore I have decided to give you a list of companions of species that I have successfully kept with Apistos while raising babies or conditioning parents for breeding. This should give you some guidelines. But before I give you this list, I would suggest only one species of Apistos per aquarium and if you have a larger aquarium (250+ litres) then you might attempt to keep 2 pairs. 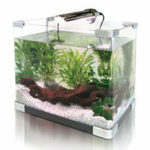 Great companions, even when breeding, are small fish that stick to the top half of the aquarium. 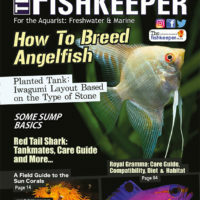 This includes species like all Danios, White Cloud Mountain Minnows, all dwarf Rasboras, small Gouramis like Croaking Gouramis and Dwarf Gouramis, Dwarf Rainbow Fish, Endlers Guppies and Killifish. Then there are other open-water species that include your smaller Tetras, Dwarf Barb species and small Rasboras species. Lastly there is a mixed group of fish that might not be recommended in a breeding aquarium but work great in a community aquarium, such as all Corydoras sp., Ancistrus sp. 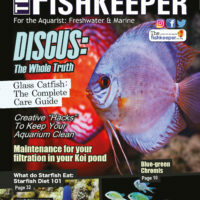 (Bristle-nose Catfish), Peckoltia sp., other dwarf cichlid species (not in breeding aquariums), Rainbow Fish, other Gouramis, Badisbadis, Empire Gudgeon, Peacock goby, Otociclus sp. and small Loaches. This is by no means a comprehensive list, but represents the species I can remember at present. Of these species the Apistogramma cacatuoides and Apistogramma agassizii are the 2 species that are bred with the greatest of variety of colours, and are therefore available more often than other species. Conditioning – this is an essential part of your preparation as a healthy pair that receives enough good quality food will almost always be ready to spawn. Good quality food must include regular feedings of frozen foods in conjunction with a quality dry food. 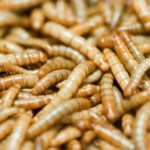 If you can include live food like brine shrimp or mosquito larvae the results are even better. If you can only source daphnia then you can use it but then feed it only sometimes in the place of frozen food. You are what you eat is definitely applicable to spawning fish. Breeding Setting up – you need to give the pair a choice of breeding places. Any type of cave will work, but in my experience they prefer to have a choice of types, as mine regularly decide to breed in a different cave even when I did not change anything. This might be due to predation; instinctively they want to prevent predators from finding their babies, so they breed in a different cave. Types of caves I supply is a split coconut shell placed upside down with a hole on the side; driftwood placed to make a cave; and slate and rocks placed to create a cave. To this I added the maximum amount of plants and 2 double sponge filters. Please do not forget the lighting for the plants, as without adequate lighting they will die and it will be a sure way to kill the breeders as well. Maintenance – the initial setup must have at least 50% RO water and thereafter I do water changes with 80% RO and 20% tap water. 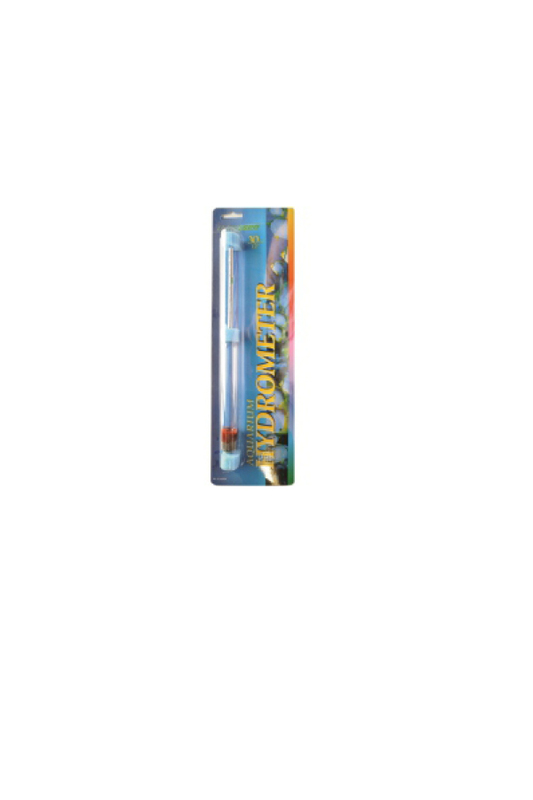 Regular water changes are done weekly and at least 20% is removed in breeding aquariums. This article covers Apistos in a nutshell. I wish I had more space as there is a lot more that I can tell you. We at Pet Stop SA will have a training session end of November 2015 on Apistos and Killifish: bookings can be done at info@petstopsa.co.za. Apistos’ behaviour in a community aquarium is very docile for a cichlid and if not breeding, they will practically ignore other genus in your aquarium.